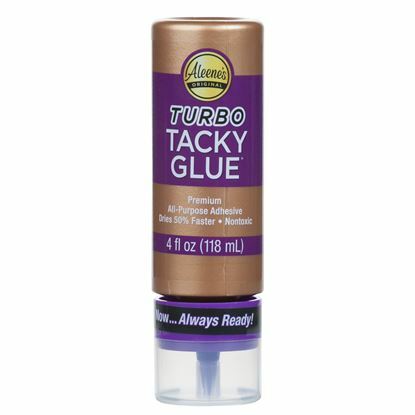 Get glue-gun strength without the heat! 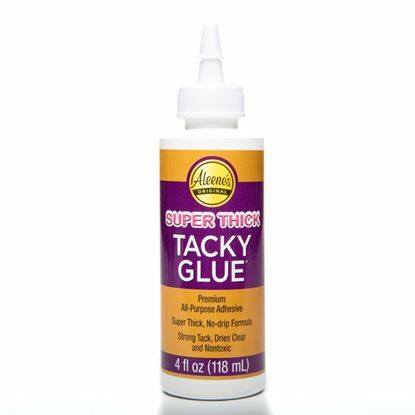 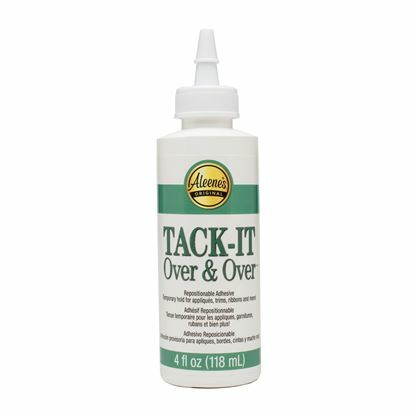 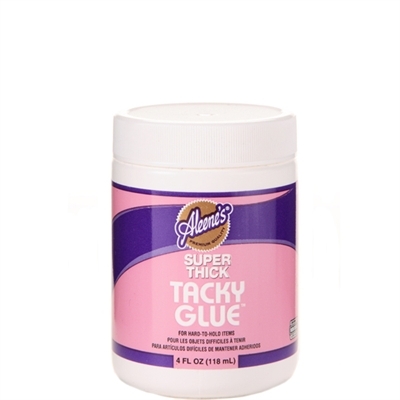 Super Thick Tacky Glue’s incredibly thick, no-run formula is fast tacking and grabs hard-to-hold items on contact, making it perfect for working with heavy duty projects and small items that need instant tack to stay in place. 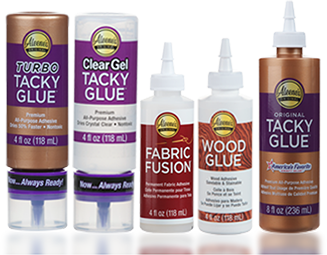 This all-purpose glue dries clear and withstands both heat and cold, making it super versatile and dependable for a variety of projects.